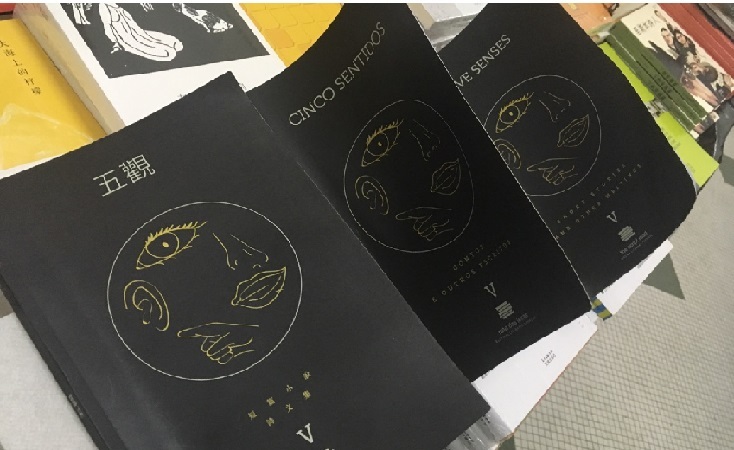 The Script Road – Macau Literary Festival will launch Five Senses, the 5th edition of The Script Road’s Short Stories and Other Writings on Sunday, March 19, at the Old Court Building. The winners of the 5th Script Road Short Story competition will also be announced during a literary session starting from 7:30 pm. This year’s book features short stories by writers such as Portuguese Ricardo Adolfo, Bissau-Guinean Ernesto Dabó, Brasilians Marcelino Freire, Carol Rodrigues and Felipe Franco Munhoz, Swedish Bengt Ohlsson and Chinese Liu Xinwu and Chan Koonchung, along with other authors who participated in the Macau Literary Festival’s 2016 edition. The short story book Five Senses will also feature the texts of the winners of The Script Road 5th Short Story Competition in the three existing categories – Chinese, Portuguese and English. The winning texts were selected by a jury composed by Chan Koonchung, Ricardo Adolfo and Bengt Ohlsson among over 70 short stories submitted.